With all the traffic on the road, it’s an extra bonus that you can walk to The Grove from this property, which is now on lease for $4,999/ mo! The unit has a center hall plan with living room on one side and the dining room on the other. Large windows bathe the unit with warm sunlight and creates a warm atmosphere. The living room spotlights a Spanish fireplace in the center and beamed ceilings, peg, and groove hardwood floors add more character. On the other side, the spacious dining room leads to the kitchen, which features large French doors to the outside balcony. The kitchen has been recently updated and comes with formal breakfast room. The unit has its own laundry room off the kitchen and abundant storage all throughout the house. 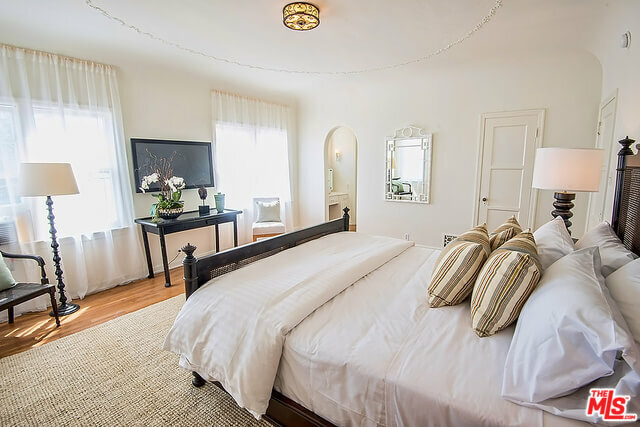 The property has 3 bedrooms and 2 bathrooms, and the master bedroom makeup room connecting to the bathroom. Front and back exterior stairways lead to the unit, providing easy access from the one car covered parking or a short walk back from The Grove. Original charm decorates the house with vibrant tiles, intricate molding, and high arches. At The Bienstock Group, we love providing potential luxurious properties for our clients to best fit their needs. Call this beautiful place your home now! 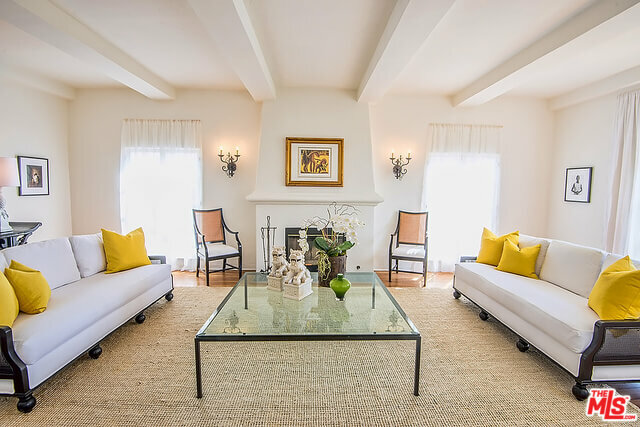 Search our featured properties to find houses for rent in Los Angeles as well as luxury homes for sale in Hancock Park (323) 332-1985.